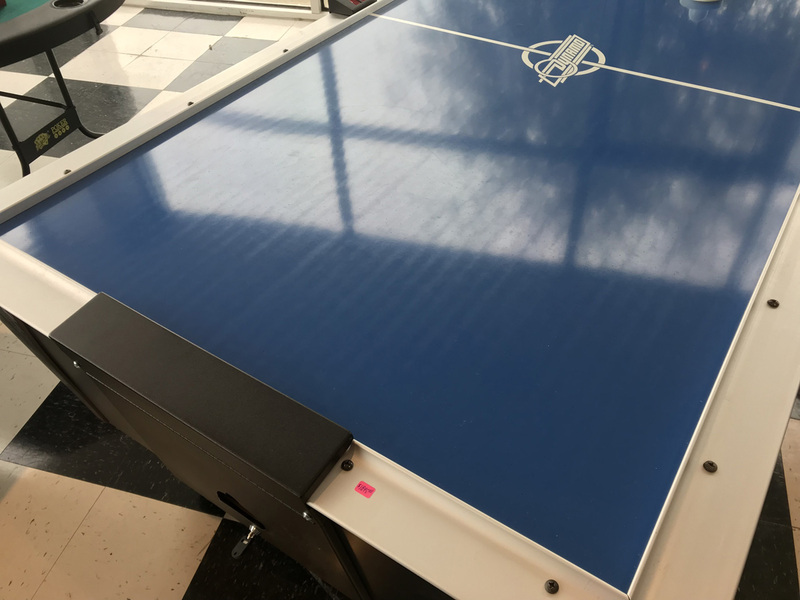 Pro Style 7′ Air Hockey Table (Pre-Owned) * | Fun! 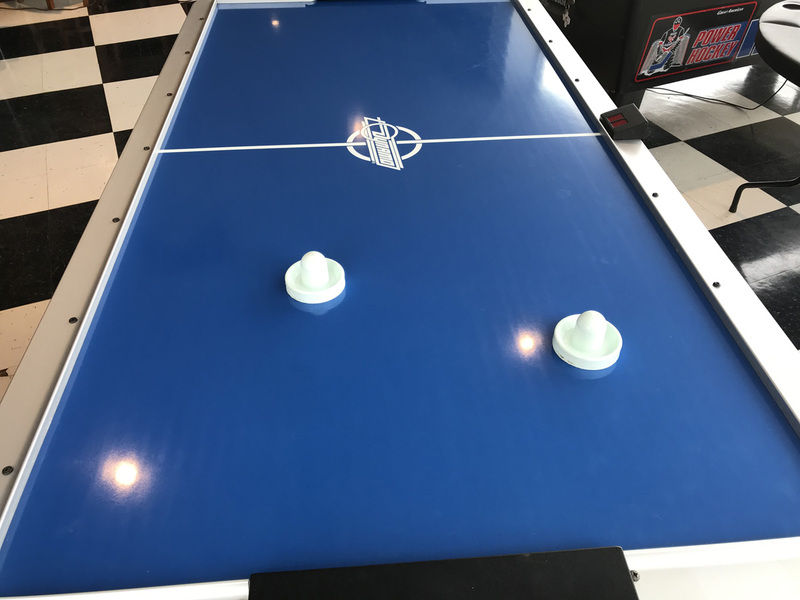 This Pro Style 7′ Air Hockey Table comes from a one owner, single family home. 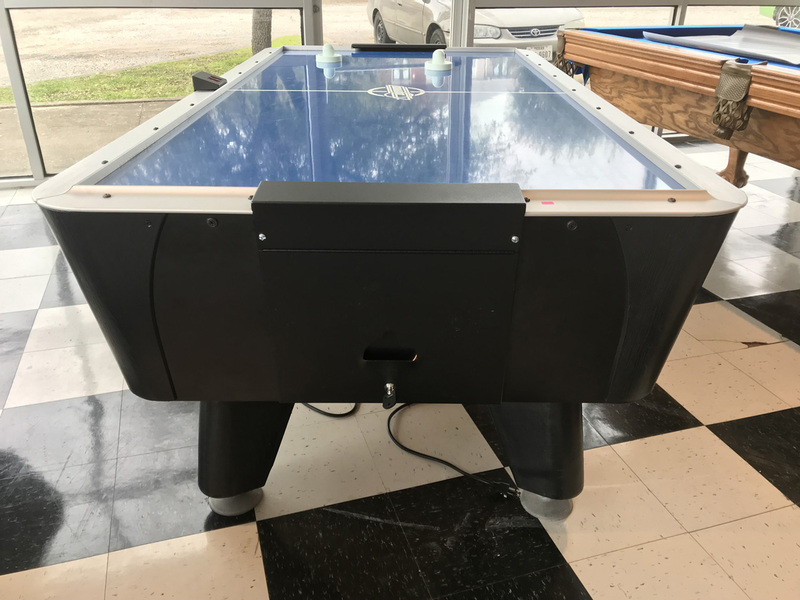 It has been gently used and looks and plays like it was new, but at a fraction of the cost of a new Valley Dynamo Air Hockey Table. 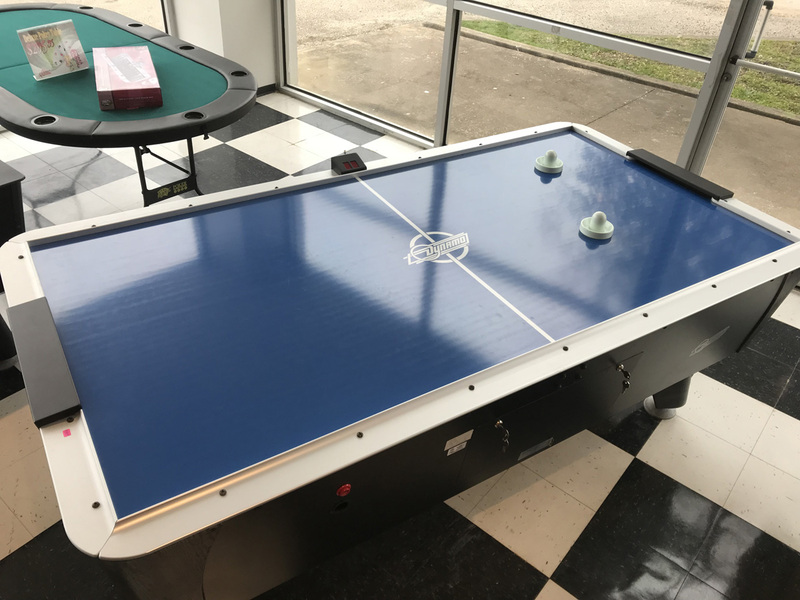 The Valley Dynamo Pro Style 7′ Air Hockey Table is a nice addition to any home gaming area or club. It is constructed from wood that makes it robust and reliable. 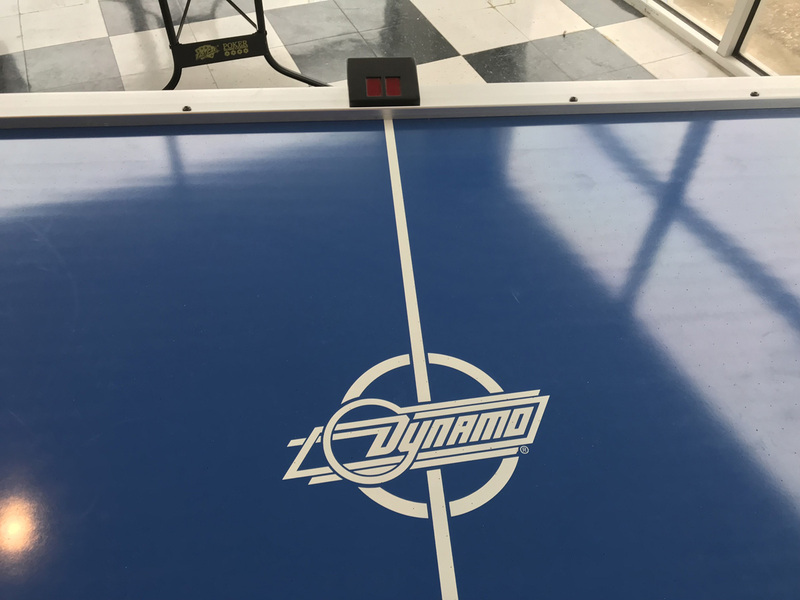 The hockey table has industrial grade “Lyna-Blast” blower system delivers fast, non-stop action. 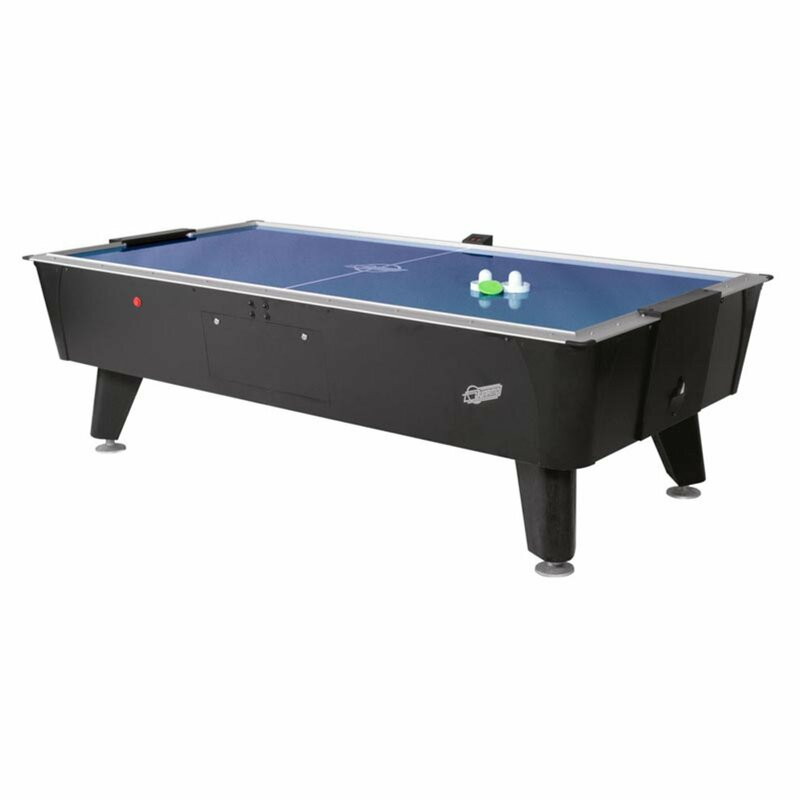 It has tournament tested rails that ensures accuracy and reliability. 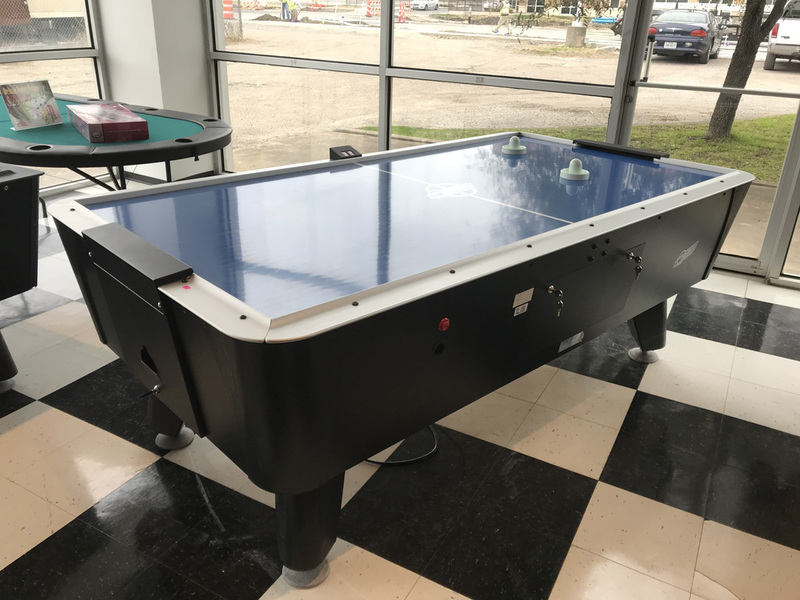 The table has tapered sides, which ensure increased player comfort. 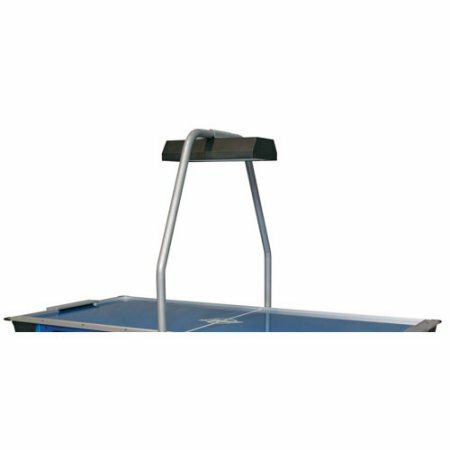 It has side mount LED scoring display that is easy to read. 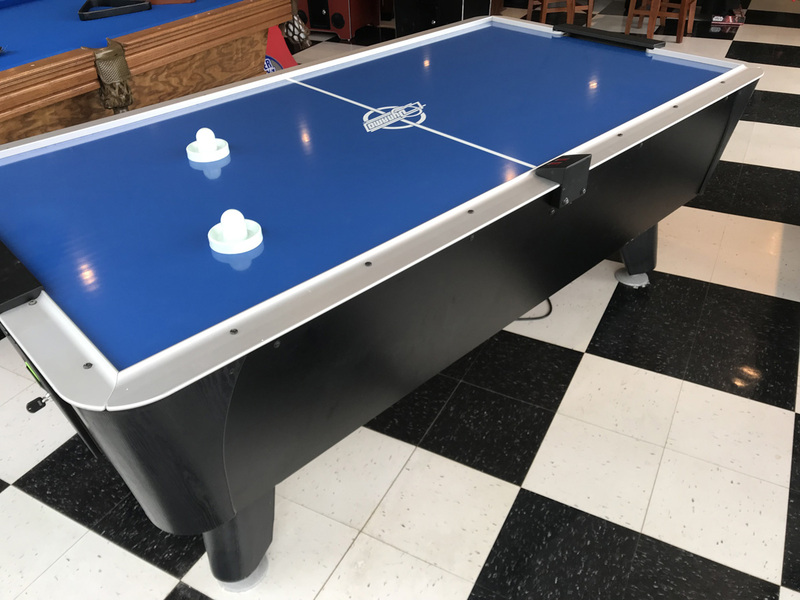 This table features heavy duty polystyrene legs that are reinforced to provide remarkable stability. 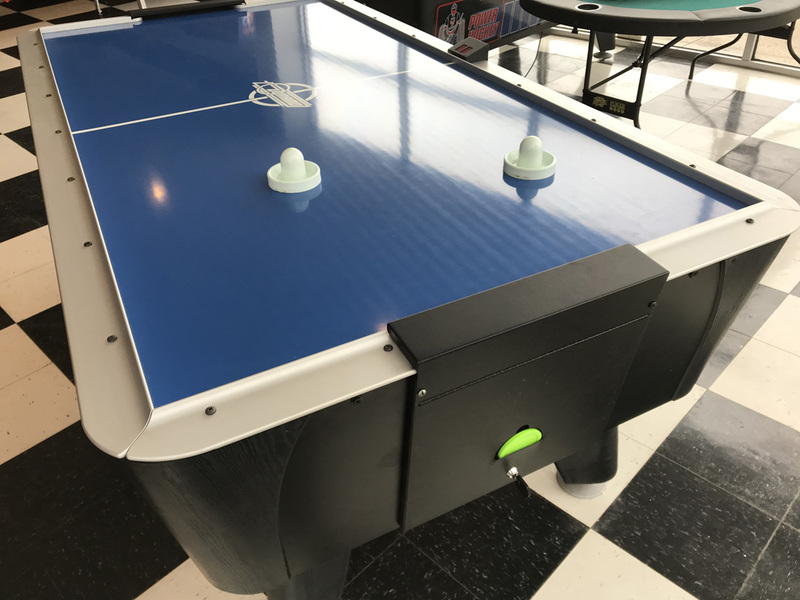 It has adjustable leg levelers to ensure an even playing surface.